This Mother's Day in Canada, why not create some lasting memories and show her how much you appreciate her with the gift of time together. Irish Proverb…” The moment a child is born a mother is also born”. With Mother’s Day just around the corner, you may be wondering how you can best express your love for your mom. One gift you can give to the special lady or ladies in your life, is the gift of togetherness. Take her away from her daily chores and spend some time together to celebrate mother’s day in Canada. There are plenty of things to enjoy with mother dearest. Here are 5 special ways you can celebrate mother’s day in Canada. 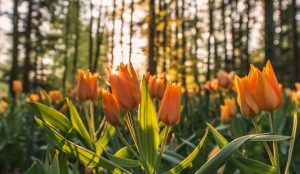 Tulips are all about representing love, warmth, and togetherness. Exactly what mother’s day is all about. On mother’s day, the common expression is love. So this year show how much you love and cherish your mother by taking her to the Tulips festival in Ottawa. The festival hosts a special Mother’s Day brunch in the Tulip Cafe, with all proceeds going to charity. This year the festival begins on the 11th of May and ends on the 21st. The Tulip is also the official flower of the city of Ottawa, representing peace and friendship. Mother’s day is the time to treat mothers (and grandmothers) and thank them for all they have done over the years. No matter where you come from, mother’s day in Canada is a celebration that grips the whole country, making it extra special. Regardless of your age and that of your mother, a Canadian Mother’s Day tradition is to take mom out for brunch. 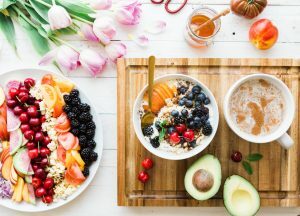 Many restaurants across the country offer special brunch menus on Mother’s Day, including some of Canada’s finest establishments as well as some of the most reasonably priced. Toronto is one of our favorite Canadian cities, so we picked the annual Mother’s Day Brunch at Casa Loma. On Mother’s day in Canada, Casa Loma offers the convenience of multiple seating times. In addition to their marvelous food menu, they also offer afternoon tea with a special mother’s day program. In this way, you can have a full day of fun at Casa Loma. Recover your strength, recapture your energy and together go on a journey of reflection of what is important in life. At St. Anne’s Spa in Grafton, Ontario. This gorgeous spa allows you to leave your troubles at the door and take a break away from the everyday stresses. Just slip into a bathrobe and slippers. Here you will be able to treat your mother like the queen she is. Pamper her with a selection of spa services, take classes in the wellness center, breathe in the clean air on the walking trails and relax over a delicious meal without the guilt. A spectacular sightseers paradise, the 1, 000 islands are located along the border of New York State and Southeastern Ontario. Here you can take a cruise through waters once patrolled by pirates and hear interesting stories of their adventures. Spot lighthouses, historic castles, island mansions, and wildlife while staying at a cozy cottage or the waterfront inn. If ever you need a break from golf, they have you covered. Enjoy one of the many other activities offered like horseback riding, hiking, treetop trekking and even paintball. At the close of the day enjoy the sweeping lake views at the popular Eclipse Dining Room. Wondering How You Can Bring Your Mother over to Canada? If you are living and working Canada but left your mother and other family members in your home country, do not stress the Canadian Family Sponsorship Program is for you. What better gift to give your dear mother than to have her come to Canada. Canada goes to great lengths to make sure families stay together, which is why there are many family visas available, and why family sponsorship programs are often a high priority. In order to sponsor a family member, you will need to meet certain criteria including providing proof that you are able to financially support the sponsored applicant. In the case of sponsoring your mother, the Parent and Grandparent Sponsorship would be ideal for you. Family is important so, if you are a Canadian citizen or permanent resident over the age of 18 years, you will be able to sponsor family members. From us, at Canadianvisa.org we say Happy Mother’s Day! Celebrate in style.